Our drop-in workshops are designed for people who lead busy lives and cannot commit to a regular painting course but free style art jamming. You don't need to know anything about an artwork or the artist. Just work at your own pace, loosen up yourself & relax on our canvases! Discover your hidden talents & express yourself in Art! Spend some time with yourself or enjoy it with a few friends, express yourself on canvas without restrictions! The workshop are carefree and enjoyable! Soft drinks and all art materials are prepared for you! You will have plenty of time practice on canvas with your Free Form Painting. Other than painting you may also like to do drawing, découpage or other crafts here. Call in and we will plan a great workshop for you! * Any 3 hours within opening hours. Add HK$60 for an additional hour. ** For kids age 3-9 years? 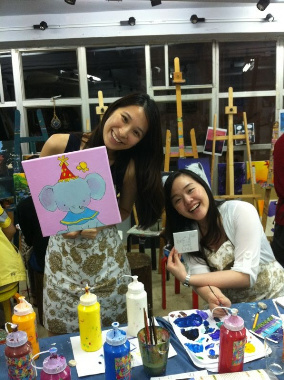 Join our Family Paint Jamming Workshop (1 adult + 1 kid) at HK$320! 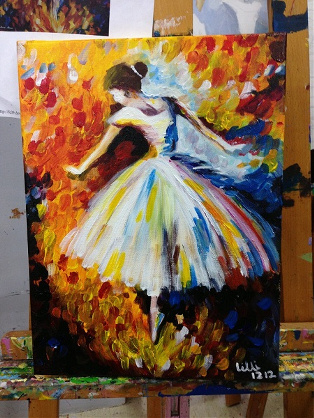 ^ 30cm x 40 cm canvas included, or you can add HK$60 for upgrade of any canvas size you like!